Following the successful delivery of the annual Resident Survey earlier this year on behalf of Clarion Housing Group, Enventure Research were delighted to work alongside digital agency TMW Unlimited to gather insight about their tenants’ digital experience as a customer. Using the responses given to specific questions in the Resident Survey earlier this year, six persona segments were developed by Clarion, Enventure Research and TMW Unlimited to categorise tenants’ behaviours, beliefs and circumstances. Enventure Research were commissioned to carry out 24 in-depth telephone interviews, ensuring that four from each persona segment took part and that participants were representative of tenants in terms of gender split. Enventure’s skilled moderators developed an interview guide tailored to glean insight into tenants’ experiences of contacting Clarion and other similar organisations, usage of online services and social media and appetite for increasing use, understanding of the rights and responsibilities of both tenants and Clarion and appetite for receiving advice and information about numerous topics from Clarion. Interviews took approximately 25 minutes to complete and were carried out over a ten day period. Building upon the findings of the in-depth telephone interviews, TMW Unlimited held two workshops with Clarion tenants to explore the same topics as the interviews. Enventure Research carried out the recruitment for the workshops by contacting those who had expressed an interest in taking part in further research at the time of the Resident Survey. In total, 13 participants attended the workshops. 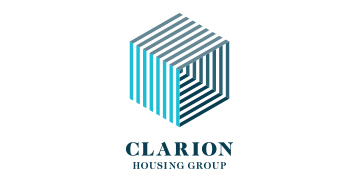 The findings from this research will inform the development of Clarion’s new digital strategy.